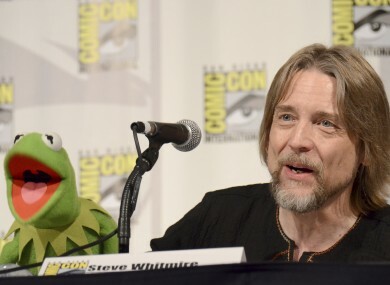 STEVE WHITMIRE, THE puppeteer who was fired after 27 years as Kermit the Frog has said he is “devastated to have failed” Muppets founder and his mentor Jim Henson. Whitmire has been with the Muppets since 1978, and took over as Kermit after Henson died in 1990. He wrote an emotional blog post in response to his firing a day after it was made public. “For me the Muppets are not just a job, or a career, or even a passion. They are a calling, an urgent, undeniable, impossible to resist way of life,” Whitmire wrote. This is my life’s work since I was 19 years old. I feel that I am at the top of my game, and I want all of you who love the Muppets to know that I would never consider abandoning Kermit. Whitmire said he was informed that Kermit would be recast in October, and has kept silent in the ensuing months in the hopes that he could get his bosses to change their minds. He said he offered “multiple remedies” to the reasons he was given for his firing. He would not say what those reasons were, nor would Muppet Studio or its parent company Disney, who have not responded to requests for comment. Muppets Studio said in a statement to Time magazine that it “thanks Steve for his tremendous contributions to Kermit the Frog and the Muppets franchise”. “We wish him well in his future endeavours,” the statement said. The Hollywood Reporter and ABC News reported on Wednesday that longtime Muppets performer Matt Vogel will take over as Kermit. Kermit was Henson’s signature character, and the centerpiece of the Muppets franchise, from 1955 until 1990. When he died it was unthinkable for many to imagine someone else doing it. The two made TV appearances on Late Night with Jimmy Fallon, 30 Rock and Saturday Night Live and in films like Muppets Most Wanted and The Muppets. I just want you all to know that I am sorry if I have disappointed any of you at any point throughout our journey, and to let everyone know that I am devastated to have failed in my duty to my hero. Email “'I am devastated': Kermit the Frog voice actor fired after 27 years”. Feedback on “'I am devastated': Kermit the Frog voice actor fired after 27 years”.